A primary metaphysical principle states, “out of nothing, nothing comes.” Consider the fact that if something could come from absolutely nothing, then anything and everything could come from nothing at any time. Moreover, we should be surprised that things don’t come into existence out of nothing all the time. If something can actually come from literally “no thing,” then why can’t anything or everything come into being from nothing? Why is it just universes? “What is it about nothingness that makes it so prejudiced against everything else but universes?” Obviously, it is evident that the universe was created. 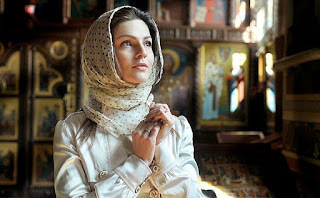 Since we have established the rationality of a created universe, let's look at some other important factors in our quest to discover God. What about the concept of an eternal, infinite universe? To answer this we have to examine the nature of time and space, of transcendence and immanence. One philosophical argument refuting the idea of an infinite, eternal universe involves the logical impossibility of creating an actual infinite number of events in physical space and time to exist. For example, if you start counting 1, 2, 3… you could count forever and never reach a time when you finish counting to infinity. You could count forever, but whatever number you were counting at that exact moment would be an actual finite number. You can always add one more to the number you were currently saying; therefore, you could never reach the end of infinity. So, is there such a thing as infinity future? Yes, but it will never get here. Is an infinite past possible? If the universe did not begin to exist, then it had to have always been here from past infinity, but then the number of events that happen in the universe would have to be infinite because the universe would be infinite. It would then be impossible to answer many questions. For instance, consider the following thought experiment regarding two "beginningless" series of coordinated events. I want you to envision our solar system existing from infinity past. The planet’s orbital periods would correspond that for every one orbit Saturn would complete, Jupiter would complete 2.5 orbits around the sun. Here’s the problem: if both Saturn and Jupiter have been orbiting the sun for past infinity, which planet has completed the most orbits? Initially, you might want to answer Jupiter because it is closer to the sun and orbits 2.5 times faster, but you would be wrong. If both planets have been orbiting from infinity past, the correct mathematical answer would be that Jupiter and Saturn have completed the exact same number of orbits. This is ludicrous because Jupiter orbits 2.5 times faster than Saturn, and it would seem that if they have been orbiting the sun from infinity past, then, Saturn should have fallen infinitely behind Jupiter. This is a ridiculous paradox demonstrating the absurdity of an actually infinite past. Since this is absurd, it is logically evident that the universe did begin to exist, and is therefore, not actually infinite or eternal. As I demonstrated, it is impossible to reach an actually infinite future through successive addition because we can always add one more to any number we are currently counting. The same is true when considering the infinitude of the past while counting down backwards through the negative numbers. But, if it were possible to have a past infinity, then the current moment of right now would never be here. Comparatively, this idea would be akin to affirming the proposition that one could jump out of an infinitely tall bottomless pit. This would be logically impossible, even for a superhero with infinite jumping power, as there is no foundation for him to jump from. Since the present moment is real, and we are really here right now, then, logically, it had to have been preceded by a finite past. Therefore, there must have been a first event, and the universe came into existence. Perhaps you don’t like philosophy. Then look at the scientific data that the universe is not infinitely old. Let's look again at the second Law of Thermodynamics. It states that all of the useful energy that already exists in the universe is being used up and is being transformed into non-usable energy. This refers to a process called entropy. If the universe were infinitely old, then it would have already used up all of its usable energy an infinite amount of time ago. Therefore, we would have reached a temperature of absolute zero, and the heat death of the universe an infinite amount of time ago. There would be no heat, no light, no life, not just in our galaxy, but anywhere in the entire universe. But, what could have caused the universe to exist if nothingness (not anything physical) existed before the universe began to exist? “Nothingness” is causally impotent, so what could have caused the universe to come into existence? This leads to some very important questions. What could exist apart from space-time and matter and still have a causal relation with the material universe? If so, what attributes or properties must this cause possess? 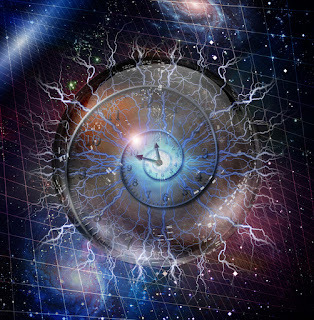 If the cause of the universe transcends space-time, then, it must have been “timeless.” This means that whatever the cause was would have had no beginning (eternal), because a beginning necessitates time to already be in existence. If the cause existed apart from time and had no beginning, we can infer logically that this cause had no cause of its own, as it logically never began to exist, and therefore, it exists necessarily. Moreover, as the cause was the reason for the beginning of space-time, then it follows that the cause of the universe also had to have been “spaceless.” This means that the cause would have no size or shape. It was utterly immaterial. Accordingly, this takes Atheistic Naturalism off the table as a possible model of reality because this argument has provided evidence that a supernatural cause of the universe exists. What other inferences can we discover regarding the cause of the universe’s attributes and properties? Well, this cause must be enormously powerful. I can’t think of anything which requires more power than creating a universe from nothing! Moreover, the universe’s immaterial cause had to have been timeless, spaceless, and it necessarily had the power to spontaneously bring the cosmos into existence without anything causing it to do so because then, whatever the cause of the cause was, would be the cause. But since this cause exists outside of anything physical, temporal, or material, none of these things could logically cause or force this cause to do anything. Therefore, this cause has its own volition or free will. Apart from anything abstract (which are causally impotent anyway), only an immaterial mind(or soul) could logically exist “in nothingness” and transcend space-time. Persons are the only types of things that could possibly possess immaterial minds with free will; therefore, we can decipher that the cause of the universe was personal. If it is personal, then it’s at least possible that “it” can have a personal relationship with other personal beings. We are personal beings. Therefore, it’s possible that we can have a personal relationship with the cause of the universe. This cause of the universe is God. To this point I have only appealed to logic and science and have not even touched Sacred Scripture whatsoever. Be that as it may, the attributes we have drawn from the conclusion correspond perfectly with the way the Sacred Scriptures describe God’s properties. 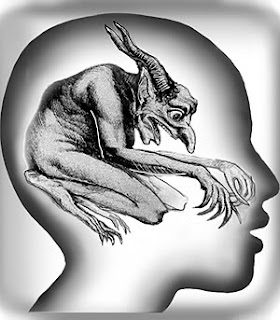 Our exploration of the topic provides evidence of the Ultimate Mind behind the universe, which also makes perfect sense regarding immaterial minds that humans seem to have. It is amazing that by simply employing science, philosophy, and logic, we reach the conclusion that God exists. Moreover, we can infer that it’s possible for us to have a personal relationship with him. This is exactly what the Bible teaches too, and what we can learn through the logical study of the universe (Psalm 19:1; Romans 1:20-21). How then does God, an eternal Being, relate to time and space? First we must deal with the question of Dynamic Time. What is it, and does it exist apart from philosophical or theological constructs? Dynamic time is, simply stated, the concept of time that says all events are experienced in succession, one after the other. While this is self evident from human experience, some Atheistic Naturalists have recently sought to deny Dynamic Time, preferring instead an illogical position that says any concept of experiencing events in succession is merely illusion. While science is clearly based on the observable, these desperate enemies of the Kingship of Christ are willing to ignore science, indeed ignore the reality of the human experience, simply to deny eternality as a nonsensical theological construct without merit, since it only has merit if indeed Dynamic Time exists from which we can distinguish the eternal. How we view God's eternality will of necessity impact how we view God's other attributes. It is evident that any view of God that ignores His interaction with and in Dynamic Time cannot withstand the scrutiny of Sacred Scripture or common sense, which clearly tells us God, though eternal, operates within Dynamic Time, while at the same instant being beyond it. In other words, any other view will impact our understanding of God's Immanence and Transcendence. For example, Genesis 1 clearly states that God created all that exists in six literal 24 hour periods called days. This view went unchallenged as it is the plain meaning of scripture, until relatively recently. The vast majority of the Church Fathers held this view as well. Church Fathers who accepted the plain meaning of Genesis are Ephraim the Syrian, Basil of Caesarea, and Ambrose of Milan, the teacher of Augustine. The most Biblically sound approach to the question of God in relation to time and space could be explained with the following argument, based on the Cosmological Argument. 2- The cause of Dynamic Time must be timeless, eternal, and metaphysically necessary. 3- Apart from Dynamic Time things do not happen unless the cause of Dynamic Time is a volitional agent. 4- Volitional agents are persons. Conclusion: Therefore, the cause of Dynamic Time is a timeless, eternal, and necessary person. If the first premise is denied, then one must also deny that anything changes or happens. If that is true, then the Atheistic Naturalist also undermines his pet theory, since Evolution would then be nothing more than illusion. Not only that, but the process of study, reasoning and rational examination of phenomena must also be rejected, and this is the basis for knowledge itself. Also, by denying the first premise, one is also stating that physical existence is itself eternal. Thus one can see that a rejection of premise one amounts to ignoring scientific fact. In regard to premise two, the Cause of Dynamic Time must be timeless and static, having no beginning, since a beginning requires the thing or person to be acted upon by Dynamic Time. The very concept of a beginning implies change, and thus Dynamic Time. And as we know from scientific observation that things do not happen apart from Dynamic Time, premise three is also substantiated. Nothing decays, grows old, and dies apart from Dynamic Time. Change does not occur in a timeless state. Dynamic Time must of necessity have been brought into existence by an eternally self existent Cause, a volitional agent who set it in motion, and thus set change in motion. Premise four now becomes obvious. A “Big Bang” is not a volitional agent, any more than a rock or a cloud are volitional agents. A volitional object must be a person. And in this case the person must be eternal, self existent, transcendent (beyond Dynamic Time and its effects), and Immanent (working in and through Dynamic Time). This is the conclusion drawn from the previous facts. This argues both for the eternality of God, as well as His operation in and through time and space. This brings us to the most clear example of God working in and through Dynamic Time-the Incarnation of Jesus Christ. If indeed God is completely transcendent, then the Deist is correct that there are no miracles. No healing, no one raised from the dead, no feeding the multitudes, no water to wine, and by logical implication-no Divine Incarnation. This would mean that God did not enter time and space, experiencing Dynamic Time as a man, and did not intervene for our salvation. Nor did God interact with humanity by revealing His existence and will. Instead, we are left to the results of Adam and Eve's sin, one of which is to experience the effects of a corrupt Dynamic Time. That is, decay, disease, old age and death. It would also mean that the teachings of Christ are not the self-revelation of God, but the ramblings of a well meaning theologian given to the defects of sin. Fortunately, we know this is not the case. Scripture is clear that the Word, the One who is Eternal, entered into the world of time and space, and yet remained Eternal. (John 1:1) The Source of all that exists became human, while continuing to be divine. The Incarnation is God, the 2nd Person of the Trinity, Jesus Christ entering into Dynamic Time in order to save us. This is the clearest example of both God's transcendence and immanence, and of the Eternal working in and through time.